I've always loved these pretty spotted beads! Here was just my first go around with the daggers, but I can't wait to play around more with them! my S was going to be for a diffrent kinda spots my little one has come down with chickenpox!!! 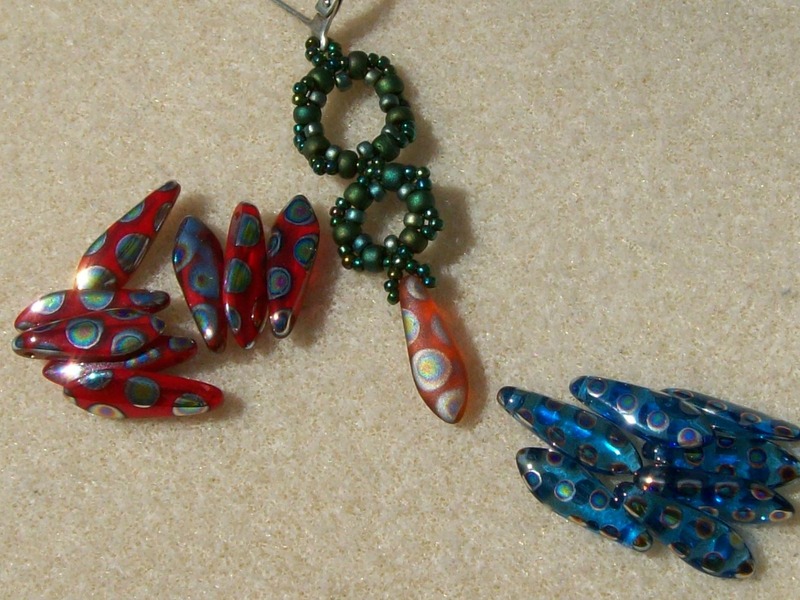 i love making those little peyote tubes beads! i have heaps of them that i never do anything with...seeing yours makes me want to use them finally! both pair of earrings are wonderful!!! and those daggers are supercool! Those are so pretty! I didn't know they were called oil spots. Very cool Amy! I've always been fascinated by the iridescent reflection of oil on the ground. 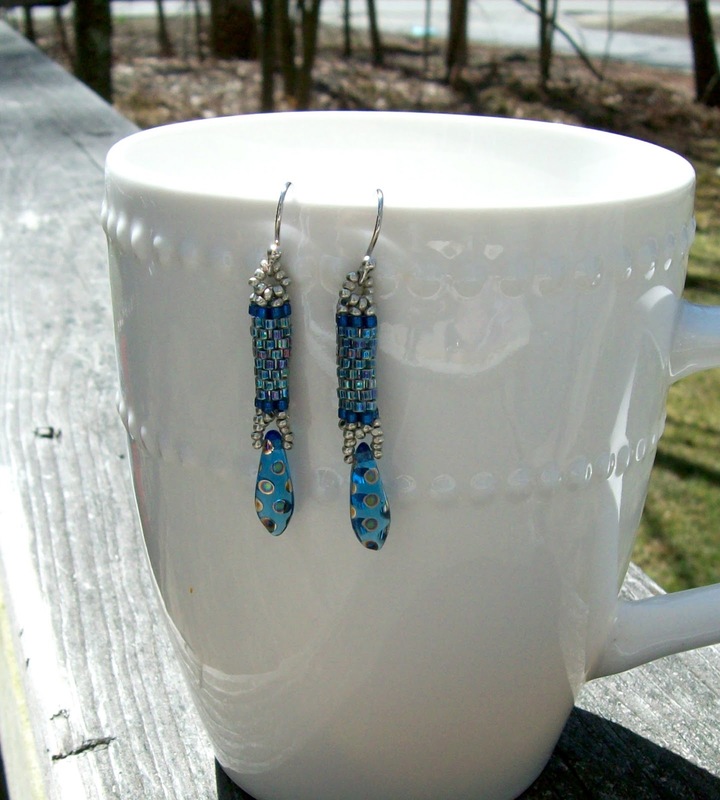 Your earrings turned out adorable! So cute, I love those daggers! You can make simple look rockstar!!!! They are just awesome....bead bracelets looks so unique with casuals!! Those daggers are AWESOME! I like what you did with them in the earrings. So creative and talented! Great post.